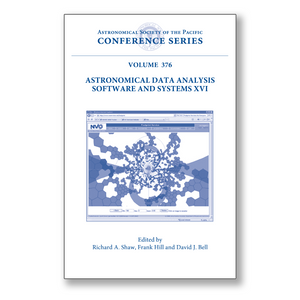 This volume contains papers presented at the 16th annual conference on Astronomical Data Analysis Software and Systems (ADASS XVI). The meeting themes addressed challenges and solutions for very large, compute-intensive systems. Major new astronomical facilities such as ALMA, Gaia, LSST, and the Square-Kilometer Array, to name but a few, are in various stages of planning and design. Their supporting data systems will exceed the current state of the art in many dimensions by multiple orders of magnitude, and will demand a major portion of the facility construction and operating costs. A key challenge will be to extract their full science potential through distributed data systems that make new, innovative use of Grid, database, web service, and visualization technologies. The 13 invited and 36 contributed talks, 116 posters, seven floor demonstration booths, three focus demo sessions, and seven Birds-of-a-Feather sessions combined to provide a thorough overview of the latest development in astronomical software, applications, data facilities, and algorithms. The key topics for this meeting were Challenges & Solutions for Large Data, Advances in Imaging & Calibration Algorithms, Quality Management in Astronomical Data Management Systems, Modern Grid Computing in Astronomy, Architectures for Large Astronomy Software Systems, and Solar Neighborhood & Planetary Astronomy. While a large number of contributed papers followed these themes, the full range of traditional topic included planning for legacy archives such as that for HST, the continuing development of standards for astronomical data and the Virtual Observatory, and the latest techniques in the algorithm development. The ADASS conference series has a strong tradition of participant-lead topical sessions within the meeting. This year a record number of "Birds of a Feather" sessions were held on a mix of established and emerging topics, including FITS, Astronomical Data Processing and the VO, The Emerging Infrastructure of Autonomous Astronomy, Bulding Observatory Legacy Archives, Pipeline Processing of Spectroscopic Observations, IRAF Users and Developers, and Next Generation of Visualization Tools for Astrophysics. Summaries of these sessions are included in these proceedings. This book is suitable for software developers, designers of astronomical software systems, astronomers who use astronomical software, and students of any of these fields.